We’ve all been there. You know, you’re at the bottom of a 20-foot tall concrete wall and zombies are chasing you and you need a way to get over the wall as quickly as possible. Ok… maybe we haven’t all been there, but we might end up in a situation just like that one in the future once the zombie outbreak happens! You’ve got to have a plan and be prepared for that sort of contingency. Now, Bruce Wayne might just put on his Batman Suit and whip out one of his trusty Bat-a-Rang automatic wall climbing gadgets, but unfortunately most of us aren’t billionaire playboys with unlimited gadget budgets. So what we need is an economical way to get our blue-collar butts up and over a wall without breaking the bank, or our legs. So today we’ll take a look at the grappling hook. Now, just like any climbing situation (and dealing with zombies, for that matter), using a grappling hook is inherently dangerous and should only be done with caution and at your own risk. 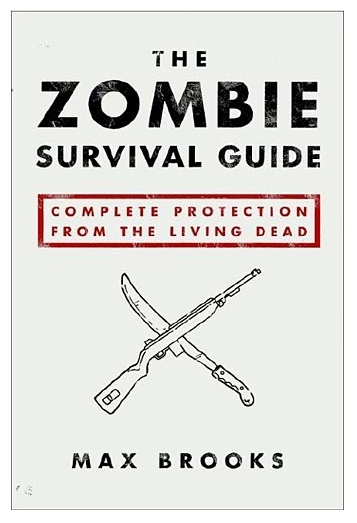 However, if you’re 100% sure that you’re being pursued by an army of zombies and there is no other alternative to get away from them, I’d say that a grappling hook is probably a pretty good idea. A good grappling hook will be light, collapsible and most importantly strong enough to support your weight. So with that in mind, let’s take a look at a pretty gnarly grappling hook that should handle most, if not all of your zombie avoidance needs. This is a slick little piece of climbing hardware that doesn’t leave much to be desired. 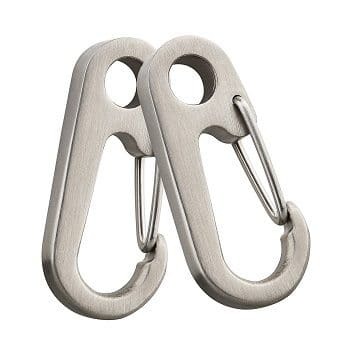 The TI-EDC Hook is lightweight but strong. It weighs less than 2lbs but is rated to over 800lbs of support capacity. The claws are collapsible which means you won’t have to run around with a pointy anchor sticking out of your backpack. The TI-EDC Hook doesn’t come with a rope, which is a good thing. You’ll want to pick the rope that best fits your needs (we did a rope post you can check out here) and I personally prefer having that option versus potentially having to carry multiple ropes around. This way you can customize your grappling system to be as light or as burly as you need it to be. That’s how preparation should be, customized to your needs and the needs of your team. So whether you’re fashioning a quick escape plan, or looking for a way to get your crew up and over daunting obstacles, look no further than the lightweight but strong, collapsible but durable TI-EDC Folding Grappling Hook.